This week we’re seeing a lot of change in Instagram and Facebook Stories, as well as some good news from Twitter in regards to dealing with harmful content on the platform. Now you can jazz up your Instagram Stories with a new sticker option – a sticker containing somebody else’s regular Instagram post. To share a post, you can tap on the paper aeroplane icon as if you were going to send it to someone directly. In this menu there will be a new option, ‘Create a story with this post’, where you’ll be able to add it to your story and annotate and decorate to your heart’s content! The good thing about this new method of sharing is that the original poster is credited, and in Settings, you can opt out of your posts being shared if you want to. Now you can share from your favourite Instagram accounts to your own Stories! 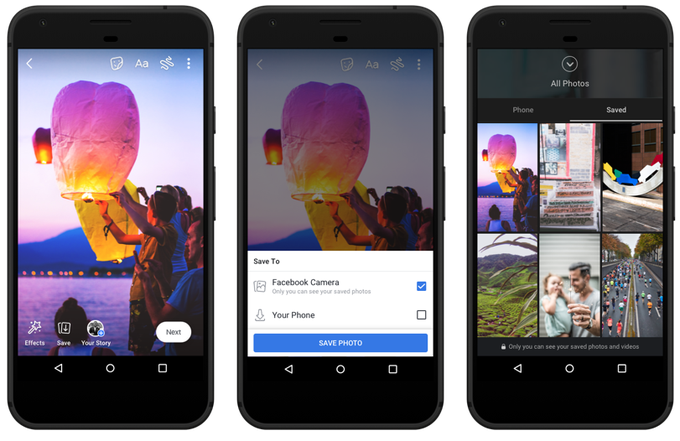 On the topic of Stories, Facebook is now adding three new options for users, including audio posts, a story archive, and the ability to save photos and videos to Facebook. These new features are rolling out to India first before rolling out globally. An update which will help micro-podcasters or just those who don’t want to type, audio posts will allow users to record a short clip accompanied by a colourful background with audio waves that you can customise and upload to your Story. Similar to Instagram’s archive, and a feature Snapchat has had for a long time, Facebook will now let users archive stories that you’ve previously posted. From the archive, you’ll be able to re-share old content, and of course, will mean those Stories didn’t go to waste! Finally, you’ll now be able to save photos and video clips taken with Facebook’s camera function directly to Facebook, rather than saving to your phone and taking up storage space. Although this seems like a handy idea which will tempt many to save space, it begs the question how comfortable people will be with sharing directly to the app following the recent Cambridge Analytica scandal. (Image source) Facebook will now let you save snaps taken within the app directly to Facebook, rather than taking up your phone storage. Before panic ensues, the new six-second unskippable ads in Snapchat will not be inserted between user content, instead, they’ll be inserted around shows from companies using the app. So if you’re not bothered about watching shows on Snapchat, this update shouldn’t affect you too much. This is part of Snapchat’s ongoing effort to boost user numbers in the ongoing battle with Instagram. The revenue value per user has dropped since last year, and Snapchat quickly needs to turn this around if they’re going to stay in the game. We’re all aware of Twitter’s rocky relationship with trolls and abuse on the platform, but it seems like they’re making good progress in dealing with these issues – finally! Twitter are using human review processes and machine learning to sift out accounts which may be emitting bad behaviour on the platform. Using signals such as; “an unconfirmed email address, the same person signing up for multiple accounts simultaneously, accounts that repeatedly Tweet and mention accounts that don’t follow them, and behaviour that might indicate a coordinated attack”, Twitter will sort replies into two categories – healthy replies and replies that will be sorted into the ‘Show more replies’ drop down box. Already, Twitter has reported that they’re now experiencing 8% fewer abuse reports from conversations, which is good news! However, this is still very early on in the process and Twitter themselves admit that their work is far from done.